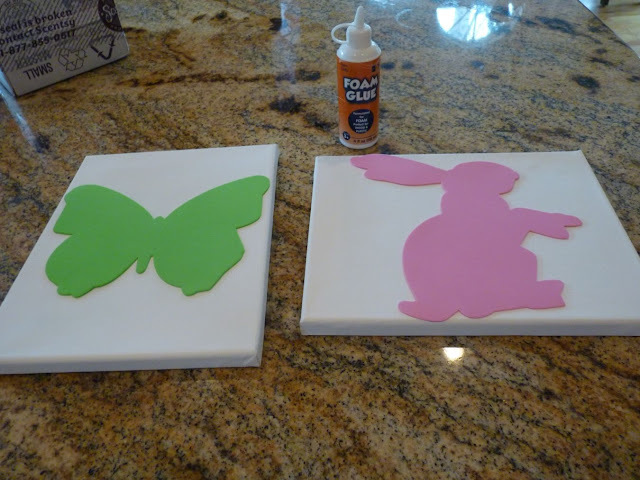 Today I am sharing just a fast diy canvas art, and cute Spring cloche/vignette. You may recall this Canvas art, I did for the Spring’tacular party. I believe I am just about on my last canvas now. I used the color Jade by Krylon on this one. All came to together to make a fun, colorful vignette. 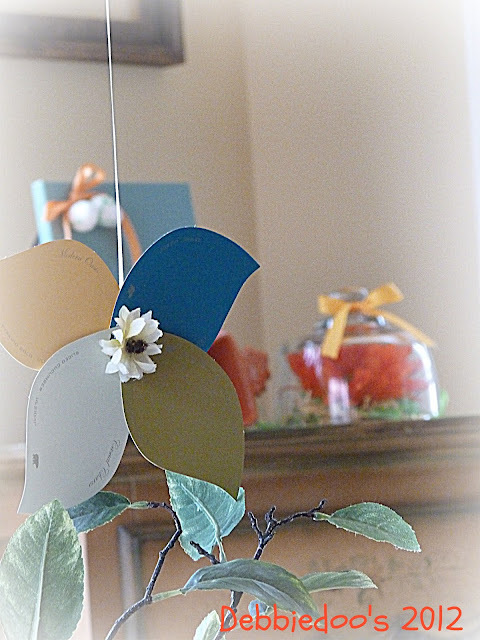 My paint swatch flowers are still hanging proud. I love your artwork and your vignette. Nice job. I love the new look of your blog. How is WP working out so far? Thanks for sharing at DIYbyDesign. I love the colors! You always come up with such cute ideas. Love your vignette! The flower under the cloche is especially pretty. 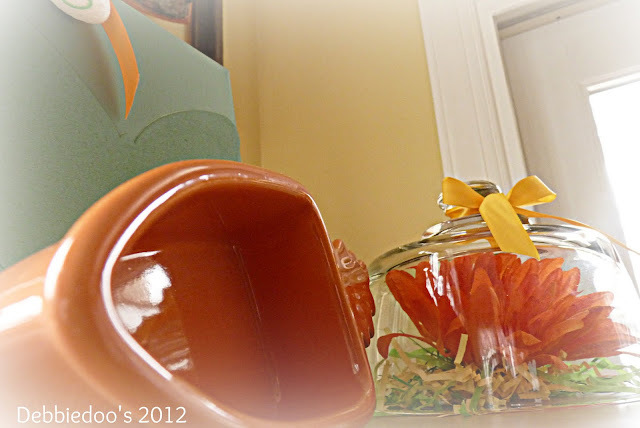 Can you believe that I’ve been blogging over a year and I do not own a cloche! I’m going to have to fix that! Cute and colorful. I have never made anything with canvas. I am so behind. Great ideas, loving the paint chip flower! You are always so creative! This is so cute & I love the colors! The orange really pops under the cloche. The little eggs you tied at the top of the canvas are a sweet little detail. Very colorful and cheery. 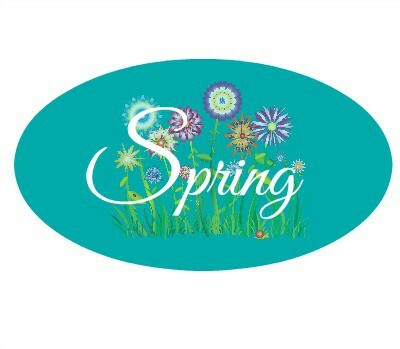 Great for the spring! Hi Debbie! The canvas and spring vignettes look great !! I love how you added the little egg trim to the canvas. So cute and creative! Debbie I LOVE those canvas! Super super cute!! No Kristen, WOrd press blogs do not have a little thumbnail.